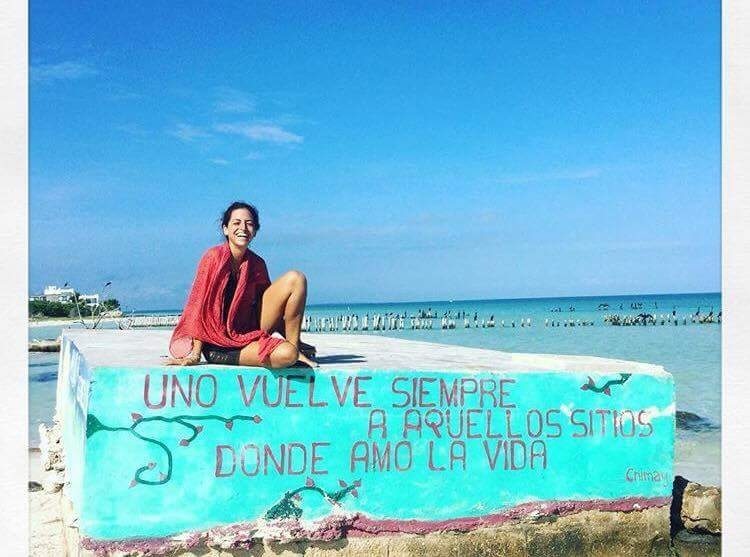 Immersed in the city life, my heart was calling for attention, so after several years of being a lawyer living in the city, I stopped for a moment to listen to my heart and decided to move to Tulum. I was already so passionate about yoga that I decided to go to India to discover that yoga is not just about postures, but it’s actually a way of living. To me, stepping on my mat it’s a way of unifying my body, mind and spirit. A wonderful opportunity to know and love myself each time a little bit more. Teaching has become my favorite thing not only because I can share my passion and love for this philosophy, but also because I am able to spread my belief that love is the path to transform our lives.